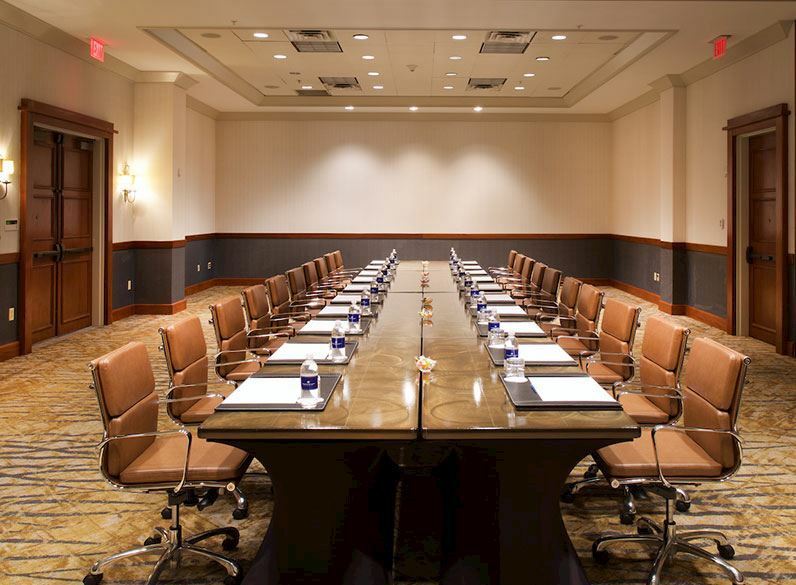 Situated in the heart of the Texas Hill Country, a short drive from Austin and San Antonio, Horseshoe Bay Resort is a remarkable destination for your next corporate retreat, meeting, conference or event. Our resort's 80,000 square feet of distinctive indoor and outdoor space inspire productivity and celebration. 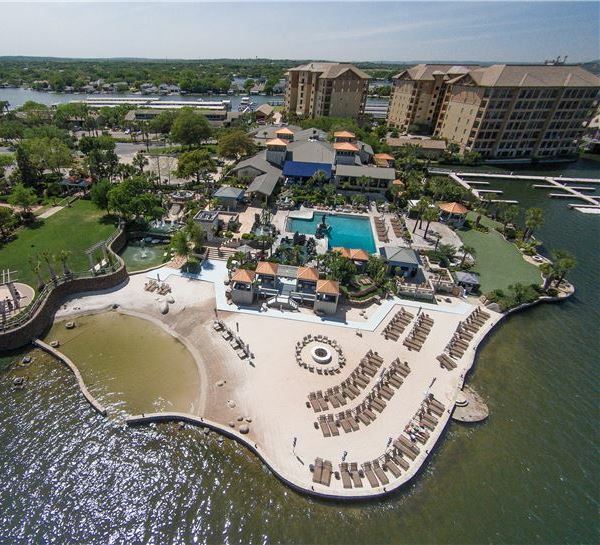 State-of-the-art amenities and beautiful surroundings, from grand ballrooms to lush lawns and gardens, on the shores of Lake LBJ, provide an unmatched atmosphere for gathering or getting down to business. With 25,000 square feet of open space, the Live Oak Lawn offers a perfect setting for large-scale parties, team building activities and outdoor events. Surrounded by swaying palms, lush tropical vegetation and colorful exotic birds, our Whitewater Veranda is a serene setting for gatherings of up to 240 guests. 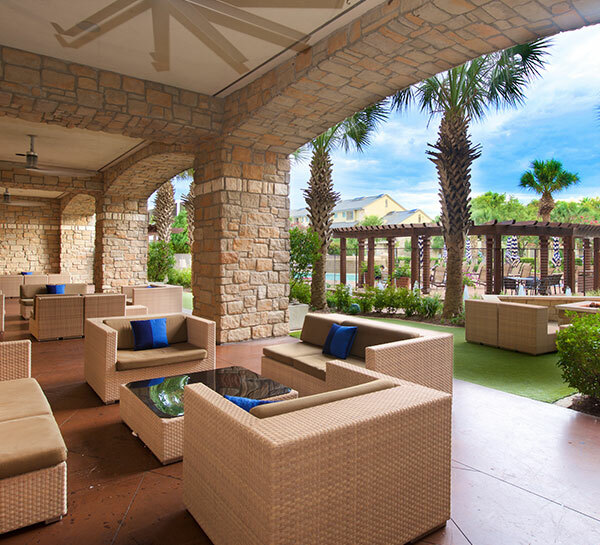 Our southwestern-style patio accommodates up to 120 guests and transforms from a tranquil daytime retreat into a sophisticated candlelit lounge setting at night. 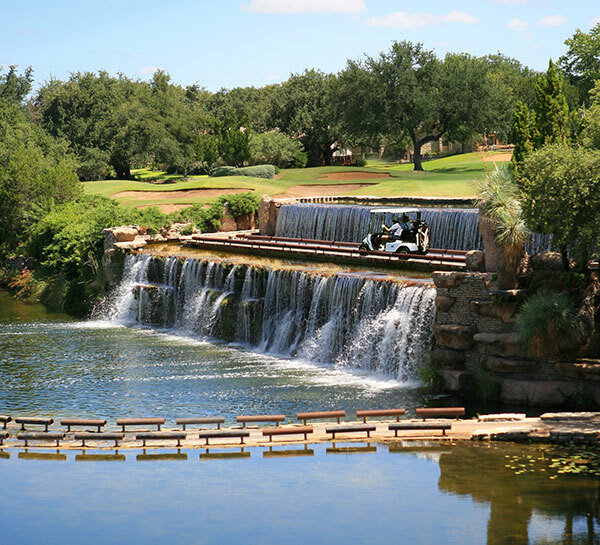 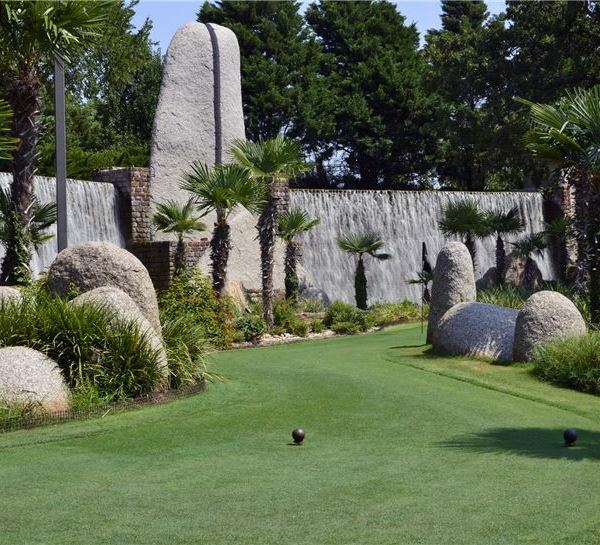 This serene venue at Slick Rock Golf Course is ideal for small groups and offers unique gathering areas at an open fire pit and observation deck above a stunning waterfall. 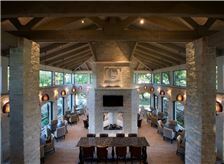 An intimate setting for smaller groups, the Slick Rock patio offers your guests a full bar, an open fire pit, casually elegant dining and sweeping golf course views. 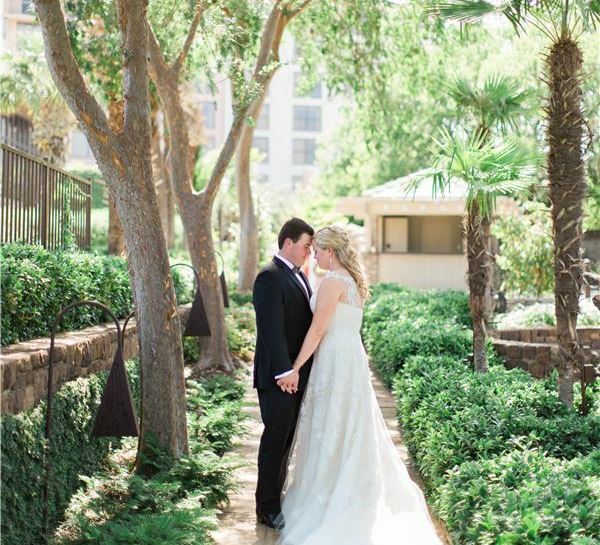 Meet or celebrate under a canopy of trees in The Gardens, the perfect outdoor setting for a luncheon, corporate get together, family reunion or cocktail party. 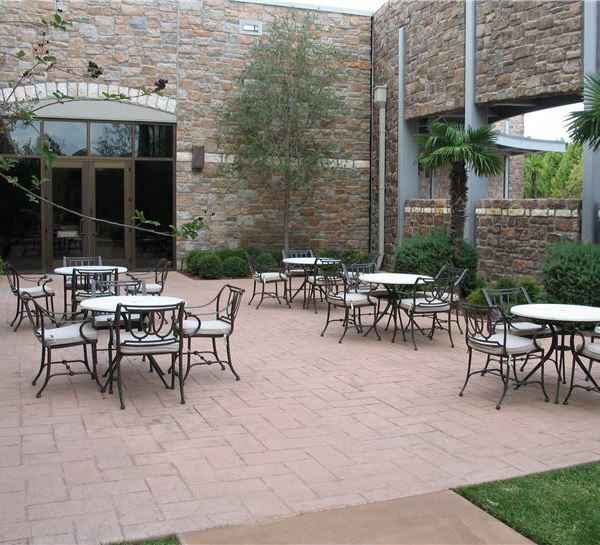 With views of the Whitewater Course and space for up to 130 guests, the intimate Travertine Patio is ideal for meeting break-outs, luncheons and cocktail parties. 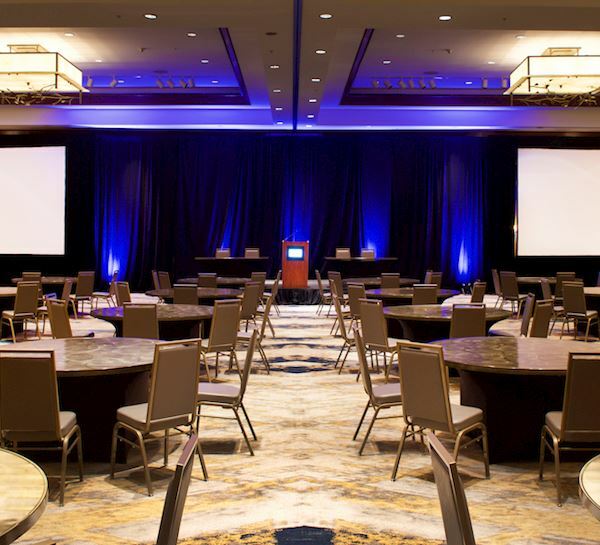 With elegant decor, 12,000 square feet of flexible space and attached to a large conference foyer, our Granite Ballroom is the perfect venue for banquets, parties and special events. 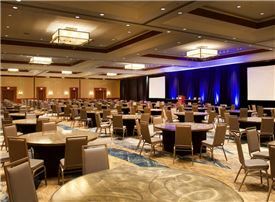 Sparkling fountains and room for 640 guests make this 10,000 sq.ft. 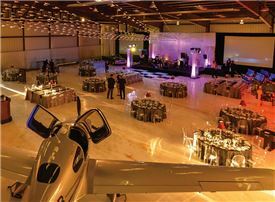 pavilion an ideal venue. 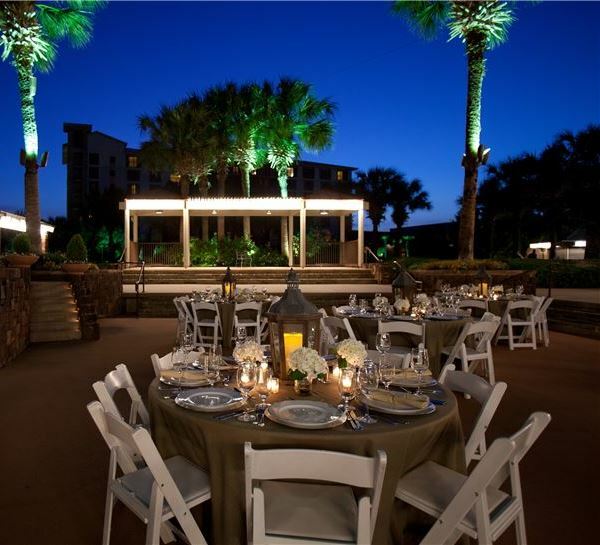 A large adjoining lawn adds a scenic outdoor space to any event. 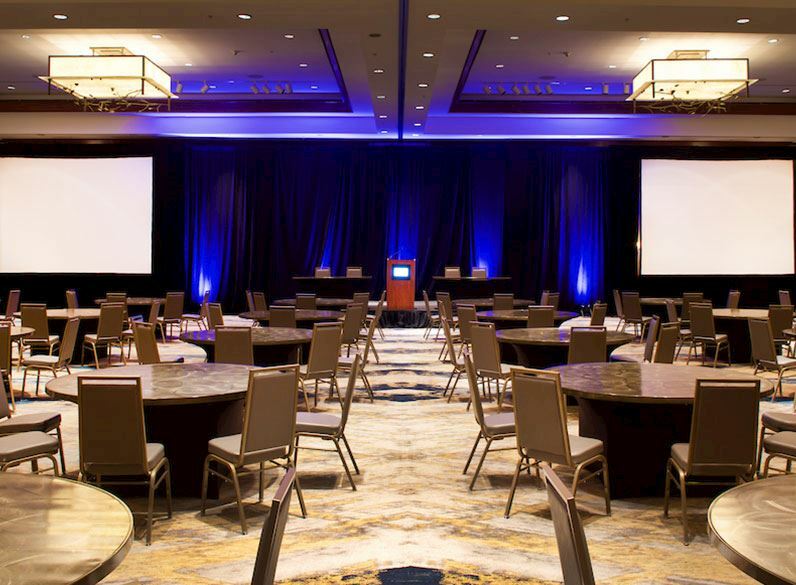 Host an all-important conference, expo or event in our 3,000-square-foot Yacht Club Ballroom, with beautiful resort views, and flexible space for up to 200 guests and attendees. 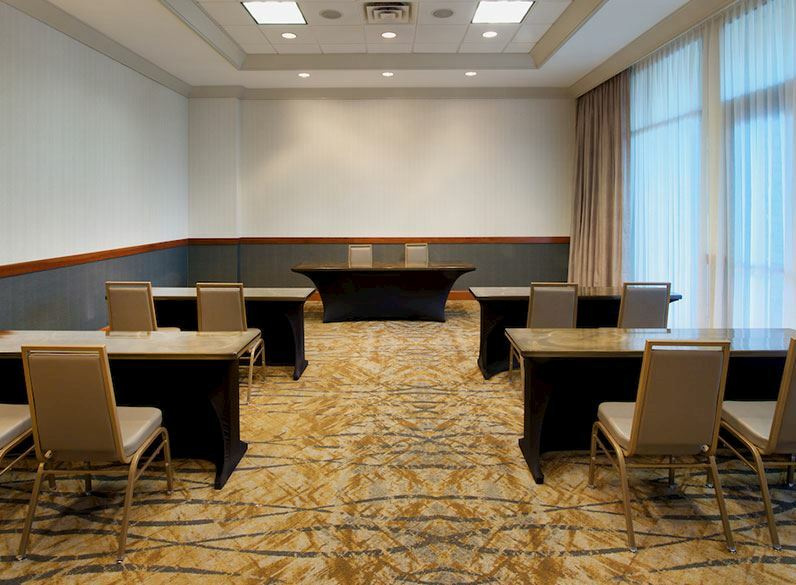 Intimate and inviting, our Hickory Room is the perfect spot for a meeting, training session, conference, or breakout event in the Tower. 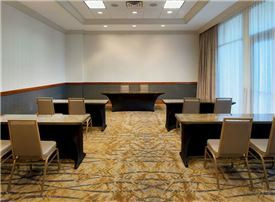 Start planning your perfect meeting now. 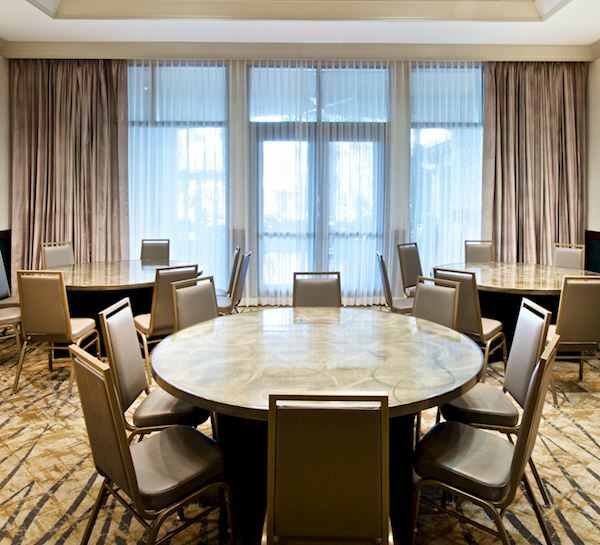 Located in the Tower, the Cedar Room offers an intimate setting for your meetings, training sessions, conferences, or breakout events. 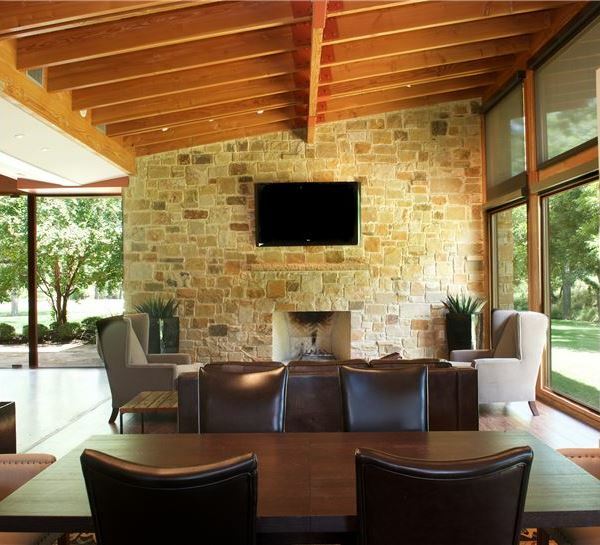 Book this modern space and start planning. 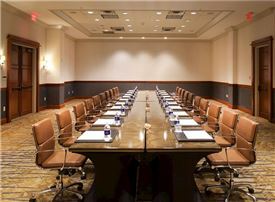 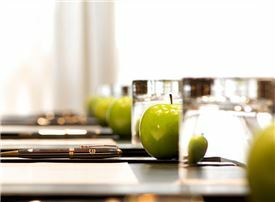 Another intimate space, the Cypress Room can accommodate up to 40 guests for meetings, training sessions, conferences, and breakout events in the Tower. 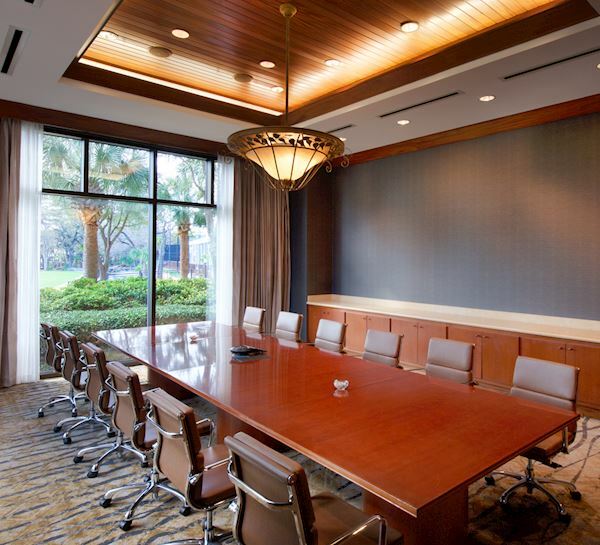 Located in the Tower, our stylish Mesquite Boardroom is the ideal space for your next meeting, executive interview or brainstorming session with the team. 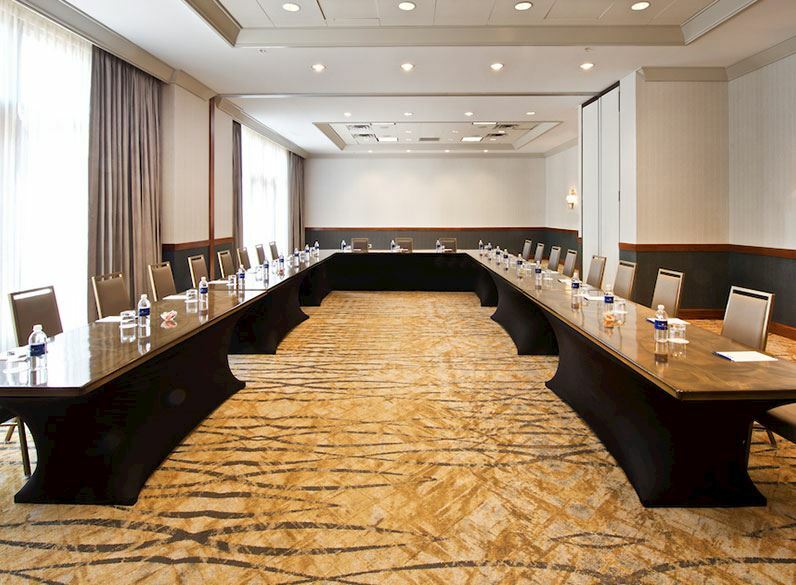 With 660 square feet and space for up to 80 guests, our Cottonwood Room provides flexibility that seamlessly blends form and function for your next event. Start planning now. 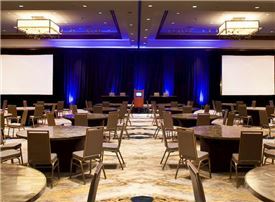 Breakouts, receptions, training sessions, and small banquets fit perfectly within our elegant 1,161-square-foot Post Oak Room. 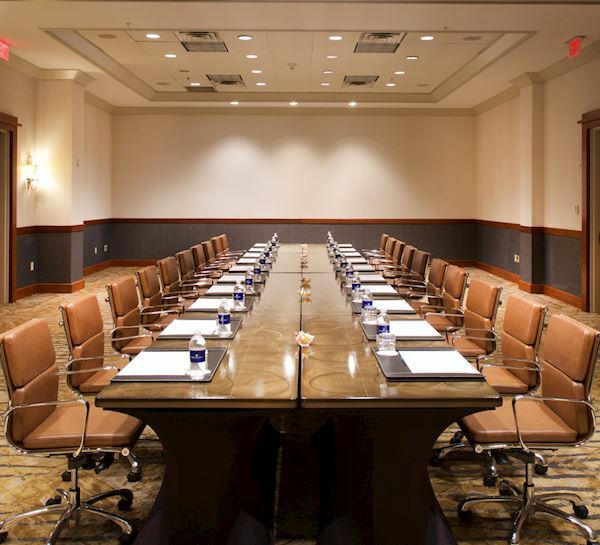 Plan now and let our team handle all the details. 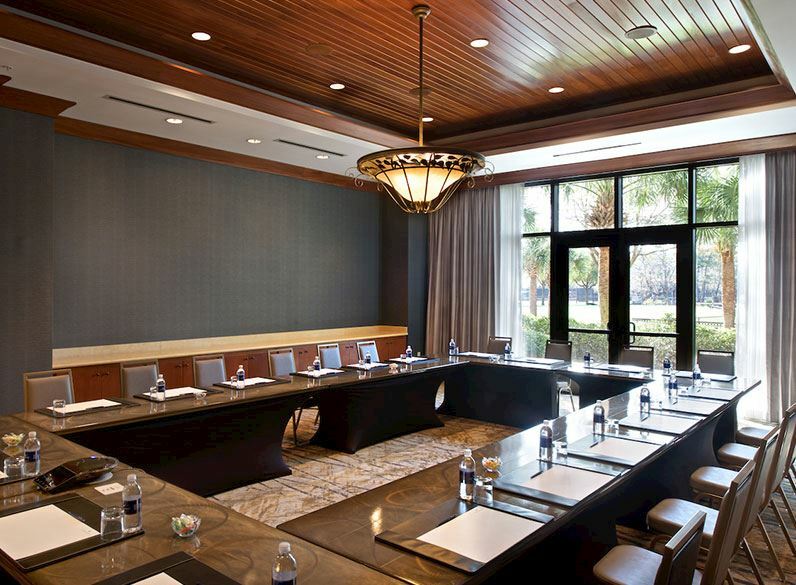 Get together for a breakout, business meeting or corporate retreat for up to 40 guests within the stylish confines of our Live Oak Room, and set the stage for a flawless event. 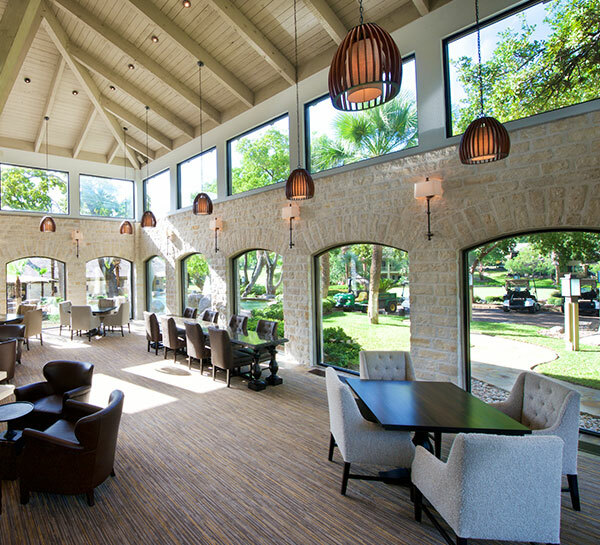 The flexible Travertine Room can be divided into two smaller spaces or used as one large space along with a sunny outdoor patio overlooking the Whitewater Course. 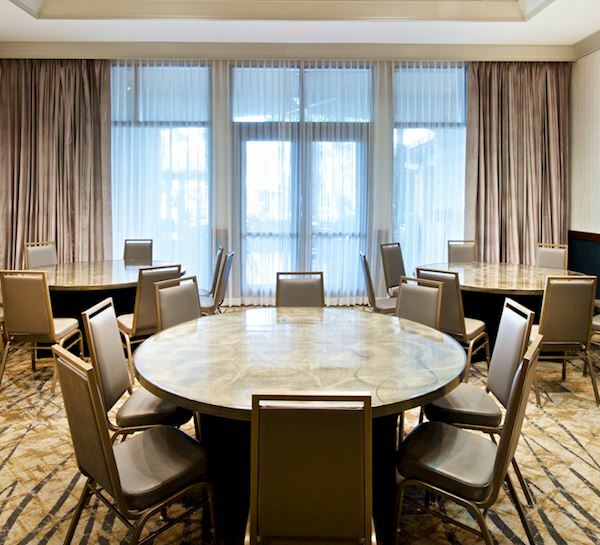 Our contemporary Limestone Room offers 1,352 square feet of flexible space that can be divided up into breakout rooms for all types of meetings and smaller events. 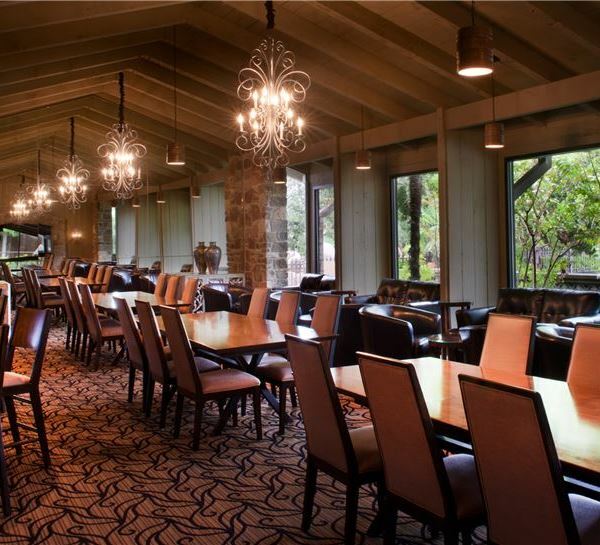 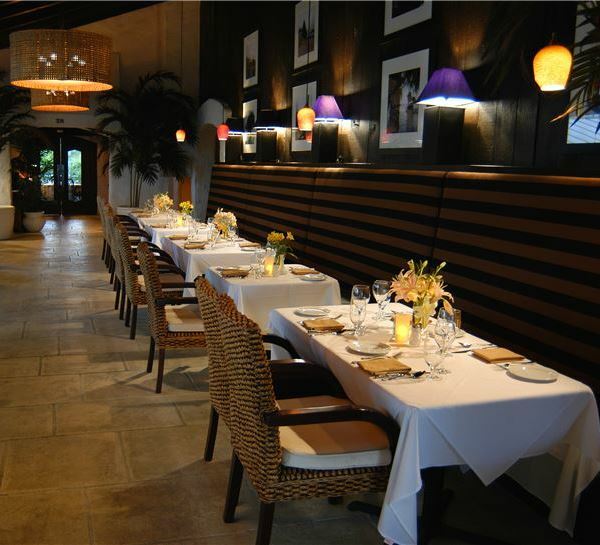 An unforgettable venue, the Ladybird provides unimaginable style and elegance to your event. 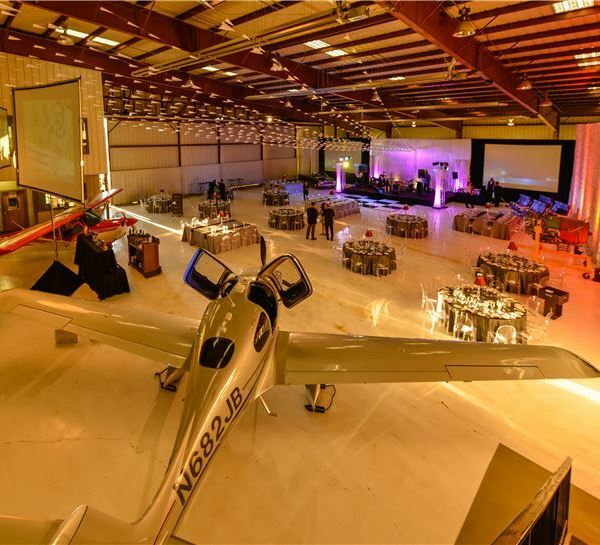 An innovative alternative for meetings, receptions, special occasions, or entertaining. 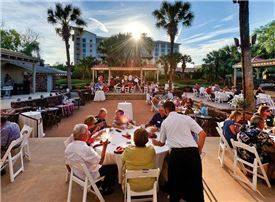 Set at the edge of the Yacht Club, adjacent to the beach, our lakeside patio and lawns offer the perfect backdrop for a reception, seated dinner or cocktail mixer. 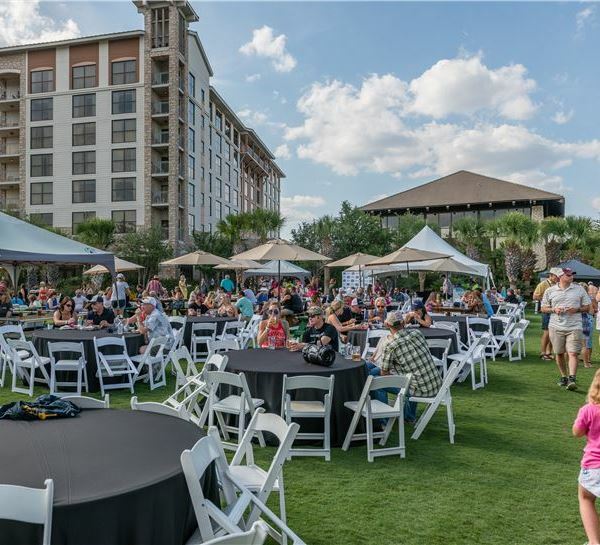 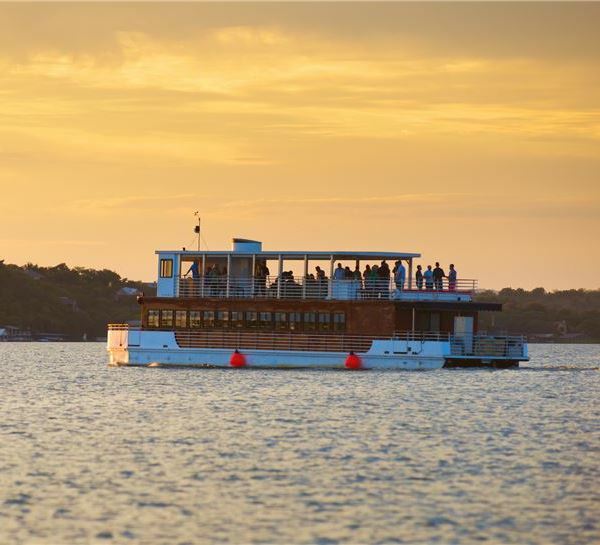 Treat attendees to beautiful views of the water in this scenic outdoor, waterfront venue, boasting 10,500 square feet of space, and accommodating up to 900 for your event. 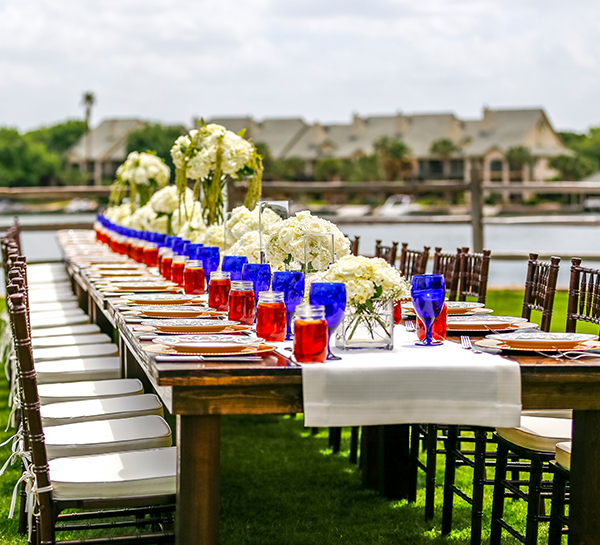 The perfect backdrop for a reception or seated dinner, this scenic lawn provides a memorable setting at the edge of Lake LBJ, with 8,000 square feet and room for up to 500. 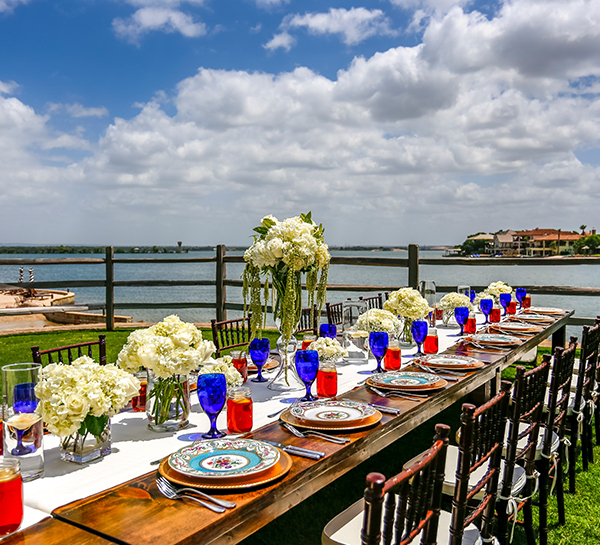 Set the stage for a memorable Hill Country event in this beautiful outdoor, waterfront space, boasting 1,980 square feet and flexible layouts accommodating up to 200 guests. 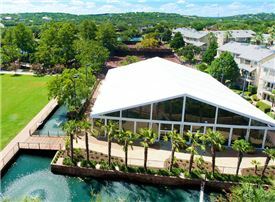 Situated at the edge of the lake, our beautifully groomed Stargazer Beach provides a unique outdoor venue for receptions, cocktail mixers and banquets. 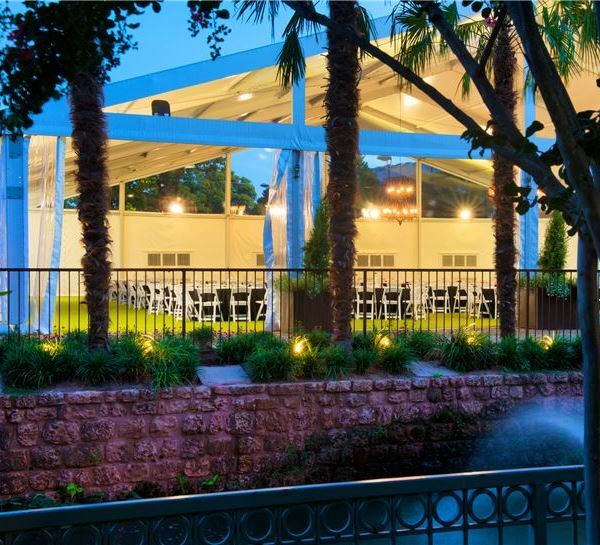 Our stunning Palm d'Or Pavilion features a built-in covered stage, tiered-steps and lush gardens that create a memorable outdoor setting for receptions and events. 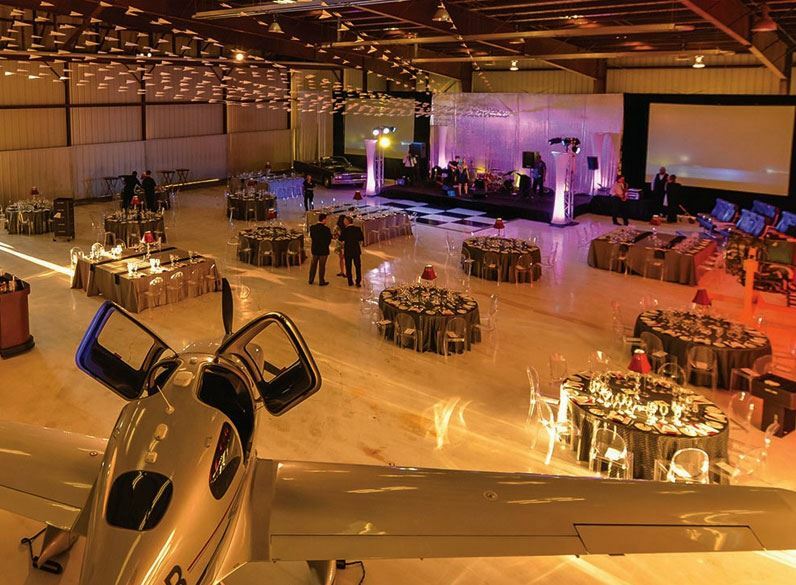 A one-of-a-kind venue, our Jet Center Hangar showcases 5,000 square feet of open floor space that lets your conference, banquet or corporate event shine. 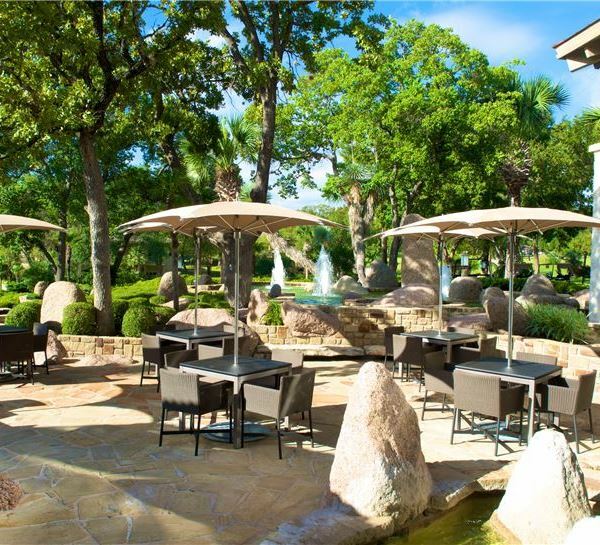 Meet or celebrate under a canopy of trees in our lush gardens, the perfect setting for a group luncheon, corporate get-together, small conference, or family reunion. A modern, intimate space for small conferences, brainstorming sessions, and meetings, this flexible venue offers room for up to 200 attendees with 2,000 square feet. 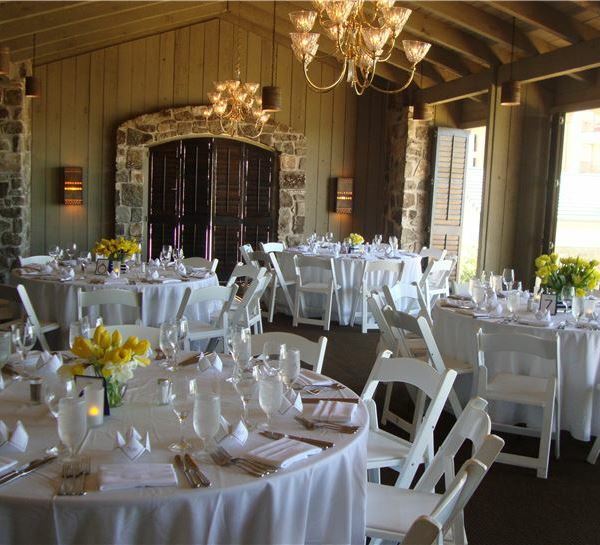 Located within our elegant Yacht Club facilities, the Harbor Light Room is a sophisticated indoor venue designed perfectly for smaller functions of up to 50 guests. 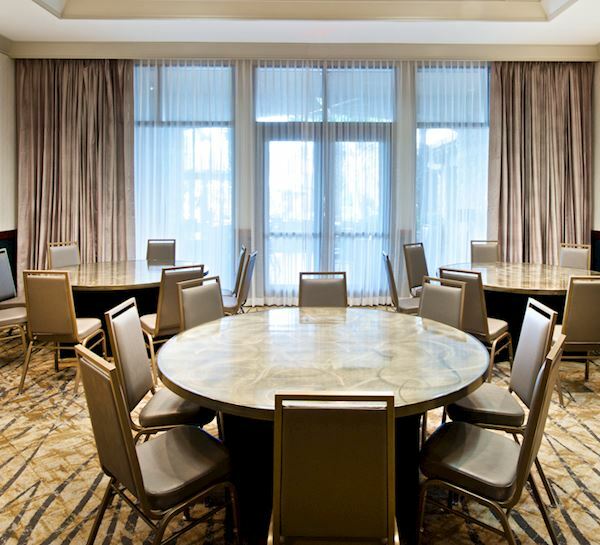 Get together for a reception, luncheon, cocktail party, or dinner with up to 60 guests in our classicly-styled Fantail Room, located within our stylish Yacht Club. 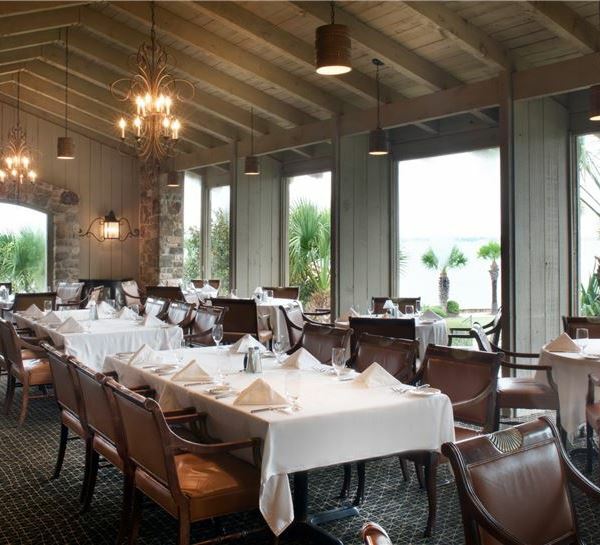 Sit at the head of the table with a fashionable reception, banquet or lunch meeting overlooking the Azalea Lawn at our Yacht Club's dignified Captain's Table. 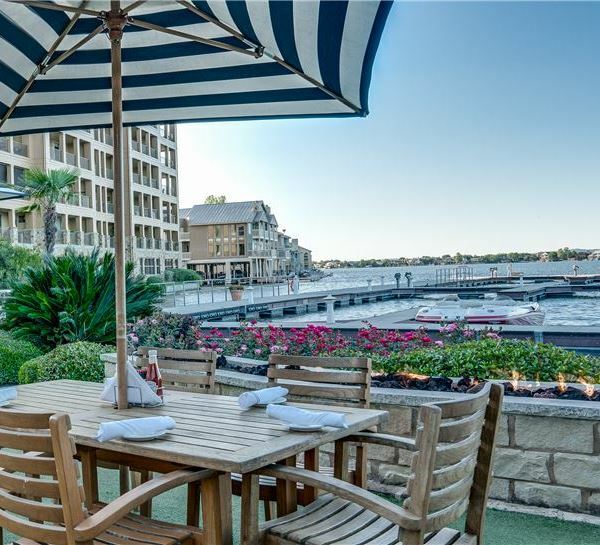 Combine our Yacht Club's stylish Promenade Room with the Promenade Patio for a sophisticated venue overlooking the pool and beautiful water views of Lake LBJ beyond. 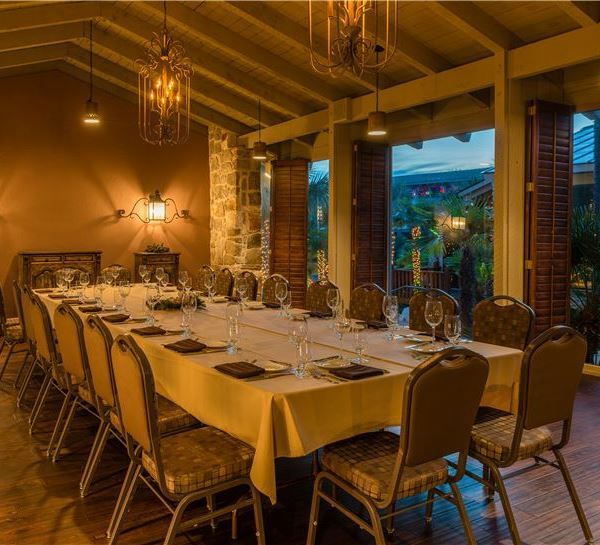 The tasteful Keel Way invites guests to relax and enjoy a corporate retreat, reception, banquet, or presentation amidst classic decor in our sophisticated Yacht Club. 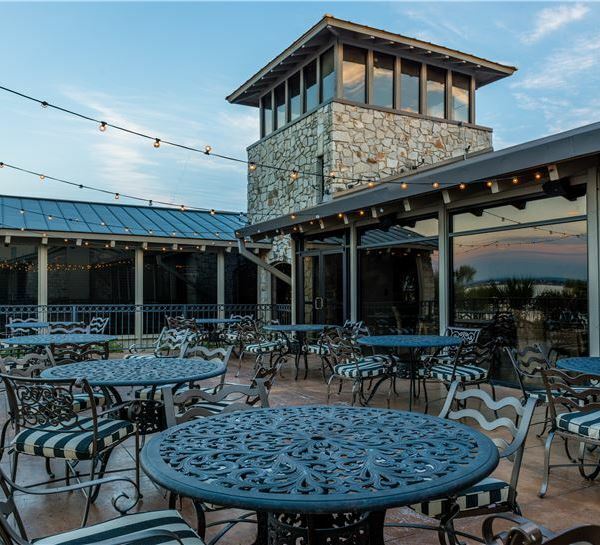 Another intimate space at our stylish Yacht Club, the Fairwind Room provides a graceful setting with views of the lake and pool for events of up to 56. 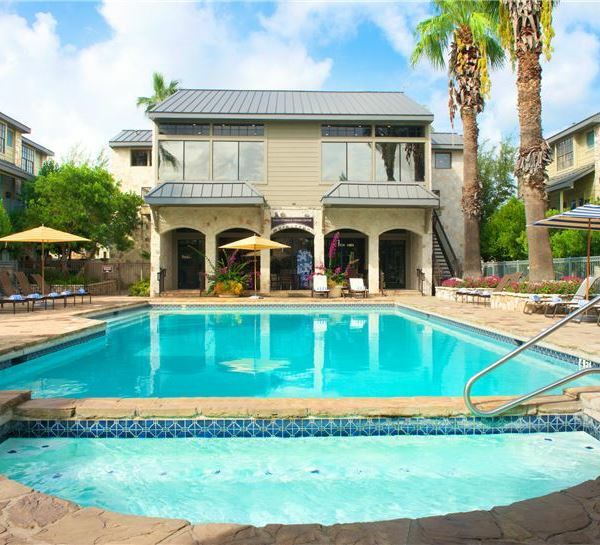 Plan a relaxed cocktail reception, poolside luncheon or casual corporate event surrounded by serene environs and sparkling blue waters of our beautiful Paseo Pool. 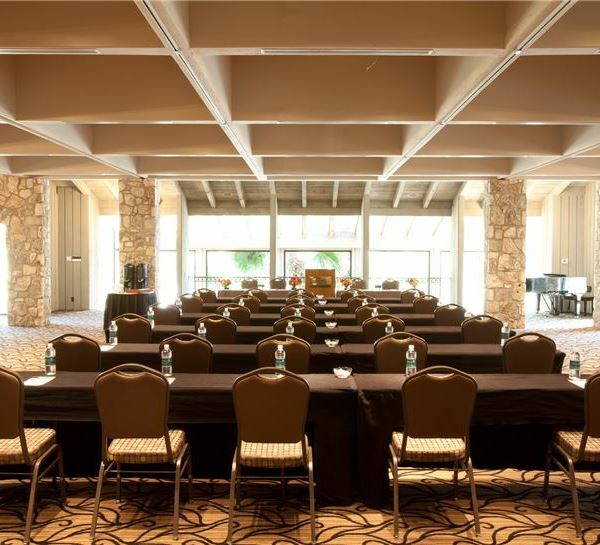 Design your meetings, conferences and team building events in the beautiful Hill Country on the shores of Lake LBJ with our packages. Make planning seamless so you can focus on the power of connection.